Brand New Fuji Mats Have Arrived !! Our brand new Fuji 2″ Smooth Mats have finally arrived and laid out. There is so much blue in this room, it feels like I’m in the ocean. We will definitely add some items to the walls to break the color out a little bit. We are still awaiting our wall pads which should be arriving shortly. I’m really excited with the arrival of the mats! 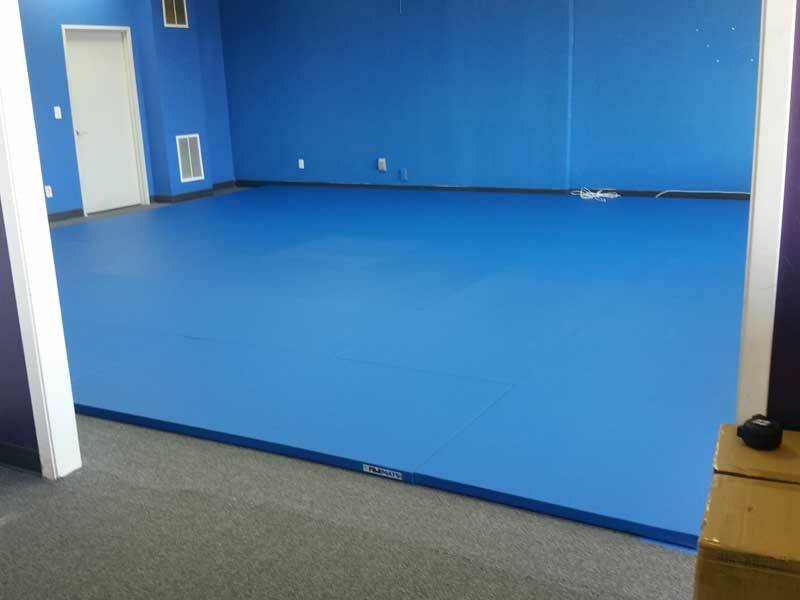 Now I can start rolling and drilling with my boys as we get closer to opening the Brazilian Jiu-Jitsu school.